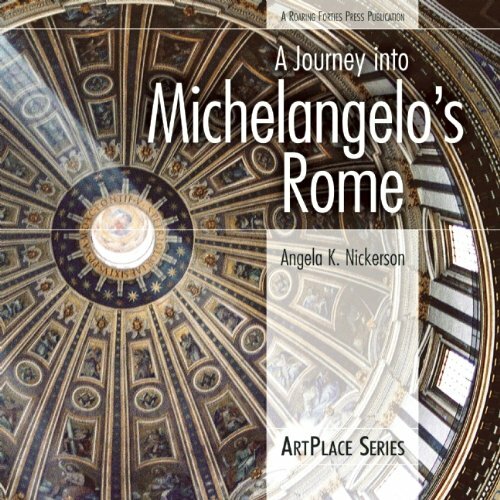 A Journey into Michelangelo’s Rome follows Michelangelo from his arrival in Rome in 1496 to his death in the city almost seventy years later. It tells the story of Michelangelo’s meteoric rise and artistic breakthroughs, of his tempestuous relations with powerful patrons, and of his austere but passionate private life. Each chapter focuses on a particular work that stunned his contemporaries and continues to impress today’s visitors. From the tender sorrow of his sculpted Pietà, to the civic elegance of his restoration of Capitoline Hill, to the grandeur of his dome atop St. Peter’s, Michelangelo’s work adorns the city in numerous ways. Angela K. Nickerson is based in Dallas, Texas, She regularly leads tours to Rome and other cities in Europe. She is also the author of Angels & Demons’ Rome: The Insider’s Guide.